Ever since Californians approved Proposition 13 in the late 1970s and the state started to fall far behind the rest of the nation in per-pupil spending for public education, California’s public middle schools have struggled to fund anything beyond core educational classes like English, math, science, and history. Many middle schools simply don’t have enough money to pay for electives such as arts, music, and foreign-language classes. But one year ago, Oakland voters attempted to address this problem by approving Measure G1, a parcel tax that is expected to raise about $12.4 million annually, of which $4.3 million is specifically earmarked for the city’s public middle schools. One of G1’s primary goals is to fund middle school electives, and it garnered a whopping 82.2 percent of the vote. Oakland schools will begin collecting the parcel tax as part of this fiscal year’s property tax bills, and middle schools throughout the city are making plans to offer electives next fall. Educators say parents are particularly interested in adding foreign-language classes—especially Spanish classes—in order to prepare their middle schoolers for high school and college foreign-language requirements. However, Oakland may have trouble actually spending all of its new tax revenues, because of the intense shortage of Spanish teachers in the East Bay and throughout the state. “Everyone is having difficulty finding a Spanish teacher,” said Jonathan Mayer, principal of Claremont Middle School in North Oakland’s Rockridge district. Mayer wants to add a Spanish elective at his school in fall 2018. 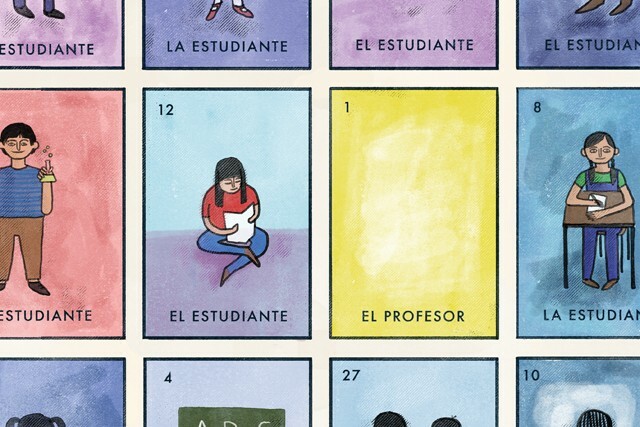 In recent years, the acute shortage of Spanish teachers has even prompted Oakland school district officials to widen their recruiting efforts to find instructors in Mexico and Spain, said Mary Claire Delgado, Oakland Unified’s manager of recruitment. “We consider it one of the toughest courses to fill,” Delgado said of Spanish. The dearth of Spanish teachers is also part of a larger story: the severe shortage of teachers for all subjects in California. Last year, the Learning Policy Institute, an educational research think tank in Palo Alto, reported that 75 percent of California school districts reported teacher shortages during the 2016-17 school year. The problem is even worse in urban districts: 80 percent reported teacher shortages. The institute’s November 2016 report, “California Teacher Shortages: A Persistent Problem,” found that the lack of foreign-language instructors in California is a problem surpassed only by shortages in special education, math, and science classes. The report also warned that the state’s teacher shortage promises to intensify because California voters approved Proposition 58 last year, which allows school districts to once again offer bilingual instruction to English-language learners. The shortage of foreign-language instructors in Alameda and Berkeley has not reached crisis levels like it has in Oakland. Although both districts also have difficulties finding Spanish teachers when they have vacancies, neither one currently has an opening in that subject. Judith Klinger, president of the Alameda teachers’ union, said the district has historically had a tough time attracting teachers in all subjects to the Island because of low pay. “We’re the lowest paid, so no one wants to come here,” Klinger said. The average teacher salary in Alameda was about $70,000 annually in the 2015-16 school year, the last year in which complete salary data was available in the California Education Data Partnership database. Alameda’s average salary was slightly higher than Oakland’s $64,000-a-year average—the lowest in the East Bay. However, the value of Oakland’s teacher benefits package is much higher than in Alameda, thereby making Alameda’s total compensation the lowest in the county. Berkeley’s average teacher salary is about $73,000 annually. The shortage of Spanish teachers in Oakland is particularly challenging for middle school students who want to be prepared for high school language classes and get a leg up on their college requirements. The University of California requires three years of high-school level foreign-language instruction. Oakland’s shortage of Spanish teachers is also striking because the city’s population was 25.4 percent Hispanic or Latino in the 2010 census. In addition, for 24 percent of Oakland Unified’s students, Spanish is their first language. Delgado said Oakland is committed to encouraging students to become teachers and that the district is pursuing grants to create high school programs that put students on the teaching career track. “Logically speaking, it would make sense if we could develop our own talent,” she said. The lack of students going into teacher programs is a statewide issue and it’s worsening. The Learning Policy Institute noted that California public schools need to hire about 20,000 teachers a year but only 11,500 students are getting teaching credentials annually. The institute recommends that California offer more scholarships and loan-forgiveness programs that cover the cost of tuition and living expenses for teaching candidates; reduce the time it takes to get a teaching credential to one year; and eliminate barriers for retired teachers who want to get back into teaching fields that have shortages. This report was originally published by our sister publications, Oakland and Alameda Magazines.